People don’t roast carrots enough. And by “people”, I mean me. It’s so simple. Quarter the carrots, put on a baking tray, drizzle with olive oil, sprinkle with salt and roast in a hot oven for 45 mins or so, shaking to move them about every now and again. They’re so sweet and sticky with their own sugar you could almost eat them for dessert. If you want to add some herbs, thyme is particularly good. Just scatter it among the carrots. Have to try this now. I’ll be doing the Christmas dinner… I already roast potatoes and parsnips… I don’t especially like carrots as they’re kind of bland… So I said to my wife “I might try roasting them”, and found this recipe. Hey Bob sound hot wanna go out some time? I love roasting potatoes and chickens. they’re TASTY! We have been making carrots this way for several years. Quite often we make them for company. We have had several people who said they did not like carrots simply rave about them. Often, we mix them with cubed potatoes and string beans on the same pan. The string beans do not take as long. It is a nice mixture. Sweet potatoes are also great this way. Roasting carrots is by far the best way to eat them. I place olive oil, honey and ground cummin in a bowl with a lid. 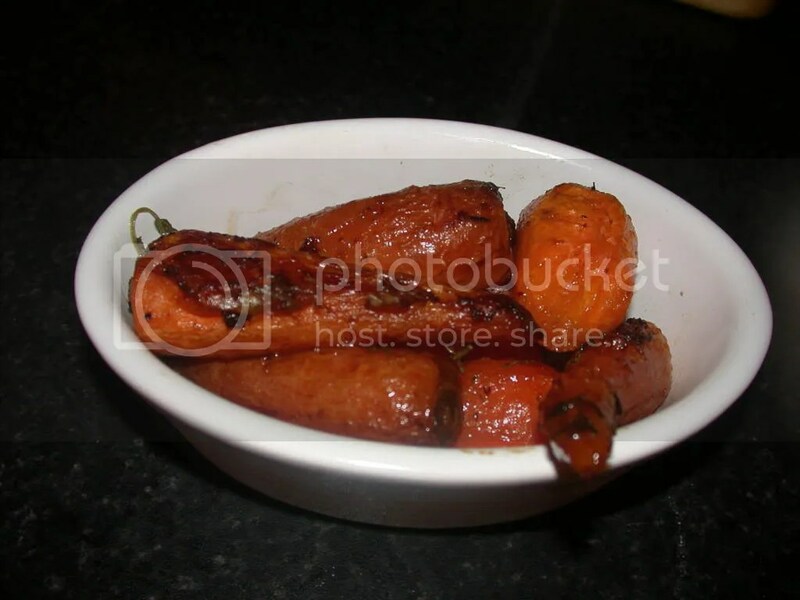 Place the cut carrots in bowl and shake to coat then just tip them onto the baking tray and into the oven. YUMMY! Did I miss where you said what temperature to roast them at? “Hot oven”?? Try mixing some parsnips in there too -very tasty! I’m going to make these tonight!! Bake some chicken and potatoes too. Yum. I just chuck carrots in with my roasts sometimes for about 50 mins and they turn out beaut. I find they need to be boiled first (I.e. cooked) to get them the very best. They can otherwise be a bit crunchy if they’re cooked only for an hour (about the cooking time of a chicken).